As if the congestion along Fleet Road in Hampstead and deliberately confusing No Left Turn signs weren’t enough the town has erected new speed signs effectively lowering the limit from 50 km/h to a mere 30 km/h. 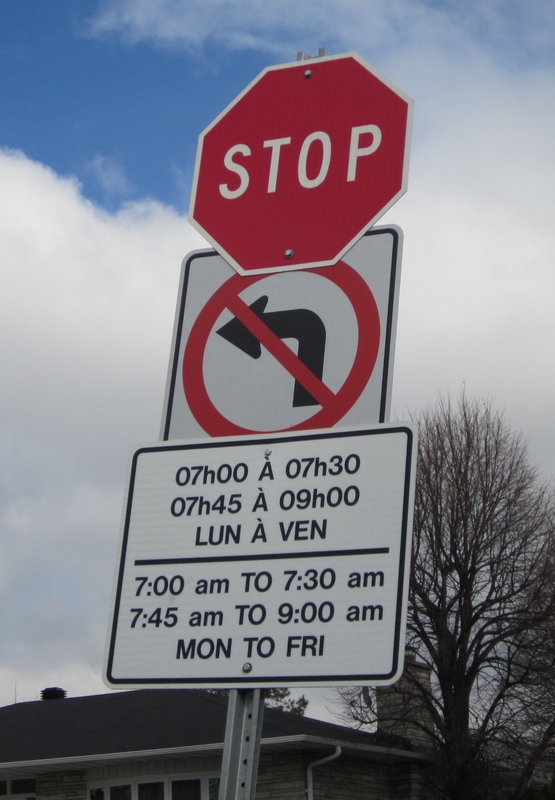 Since 2011 the Town of Hampstead has thrown logic to the wind and rolled out an amateurish improvisation in traffic control measures essentially penalizing motorists who cut through the town between Cote Saint-Luc and Decarie. A series of nonsensical No Left Turn signs (see my prior blog postings on “Chelmstead” here) sprang up that lead to confusion and frustration to any motorist without advanced math skills or a mobile abacus. That was the left hook (or should I say No Left)? Next police cars from Station 9 appeared, nabbing unsuspecting motorists, who dared the illegal left maneuver, diabolically calculated in 15 minute intervals. In 2013, a Montreal municipal court judge threw out an infraction issued to Côte Saint-Luc resident Alissa Sklar, who was ticketed for turning left from eastbound Fleet at 8:05 a.m. 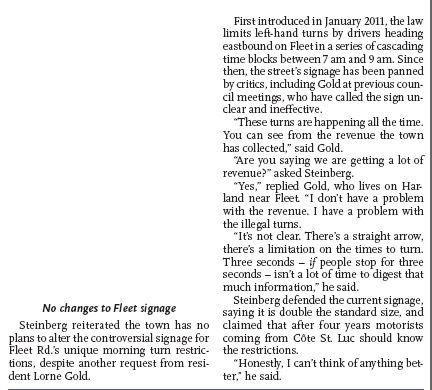 The Suburban reported that Hampstead’s many eastbound Fleet left-turn prohibition signs have received mixed reviews, with some motorists saying they are confusing and the print on the signs specifying prohibition times is too small. I said it right here when these ridiculous signs went up five years ago. I would not pay such a fine. I’d also take it to court as these bizarre and confusing signs would never stand before a judge. Next came an unprotected crosswalk, nothing short of a dangerous passage that I would never allow my child to use. Sure enough a serious accident causing injury was eventually reported on by the Suburban, CTV News and Global News. Having run out of senseless pseudo-traffic calming measures the town has erected 30km/h signs on Fleet just yesterday, east of Queen Mary Road. Presumably, the rationale is due to Hampstead Park, abutting this section of the major thoroughfare. However, most of the length of the park adjacent to the road is home to a dog run which is entirely fenced in. The very small length along Fleet not fenced in is a long distance from the playing fields, playground and community centre. 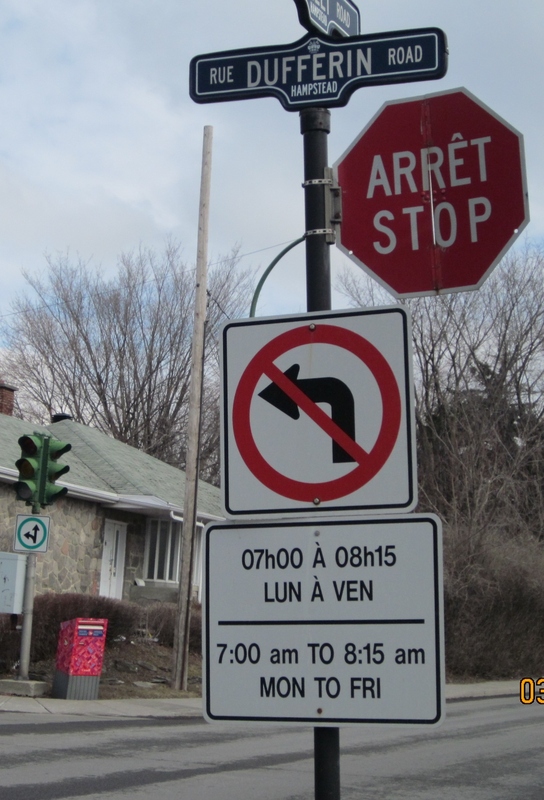 Incidentally, Hampstead lawyer and language rights crusader Harold Staviss will have fun asking why the new sign notice posted by the bilingual town is in French only. What’s worse, there is no 50km/h sign further east along Fleet Road. According to the Quebec Highway Code vehicles may not return to a higher speed unless an appropriate sign indicating the higher speed follows. As well, it will be interesting to find out if the town sought permission to change the speed on this major artery, as required by Minister of Transport regulations. 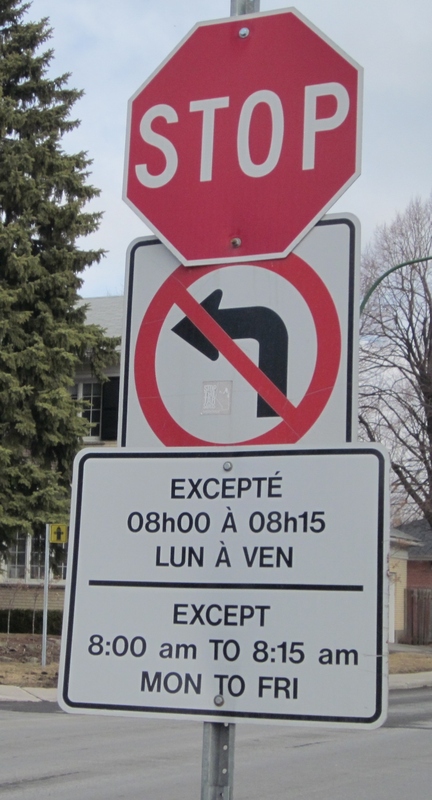 Get ready for the next police crackdown of mainly Cote Saint-Luc motorists for travelling 35km/h in a 30 zone when their not calculating if left turns are permitted presuming they’re not already stopped at an unprotected crosswalk! Full disclosure: I genuinely like my neighbouring members of council and mayor from Hampstead. They are all affable individuals who, I’m sure, want the best for their town. But folks, please give us a break! The annual Remembrance Day ceremony in Hampstead was held today in bright, unusually warm sunshine. Over 100 students participated from surrounding public and private elementary and high schools. 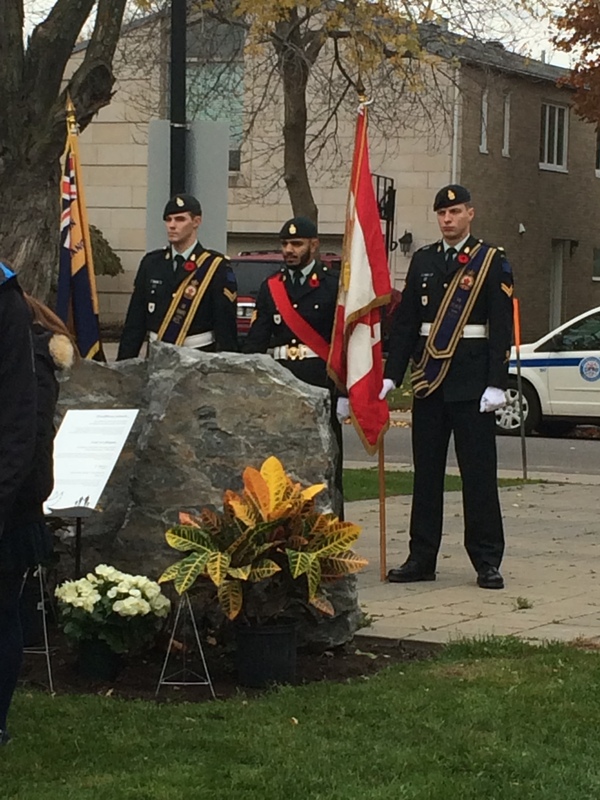 The event was held in cooperation with the Royal Montreal Regiment to pay respects to the courage and sacrifice of our veterans at the Cenotaph and Holocaust Memorial in Hampstead Park. The event is held each year ahead of November 11 in order to allow for students and military personnel to attend together. 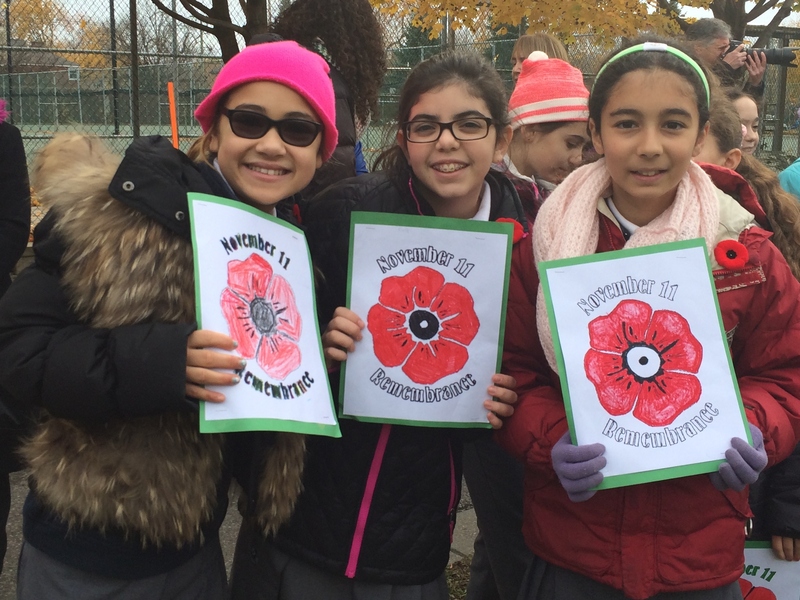 The focus of Hampstead’s Remembrance Day ceremony is to introduce the next generation to the tradition of remembering those who went to war to fight for the rights and freedoms that we enjoy today. Students attended from Hampstead School, Solomon Schechter Academy, Bialik High School, JPPS Elementary School, and École des Amis-du-Monde. All students participated in the ceremony. Mayor William Steinberg spoke to the children assembled by emphasizing that we remember the past contributions of Canada’s military personnel who fought to earn freedom for future generations of Canadians. “Our dignitaries are the present and the past but you, boys and girls, are the future,” said Mayor Steinberg. Adath Israel Rabbi Michael Whitman said to the children that we enjoy the right to vote and choose who will govern us, a right not shared with the majority of the world’s population. 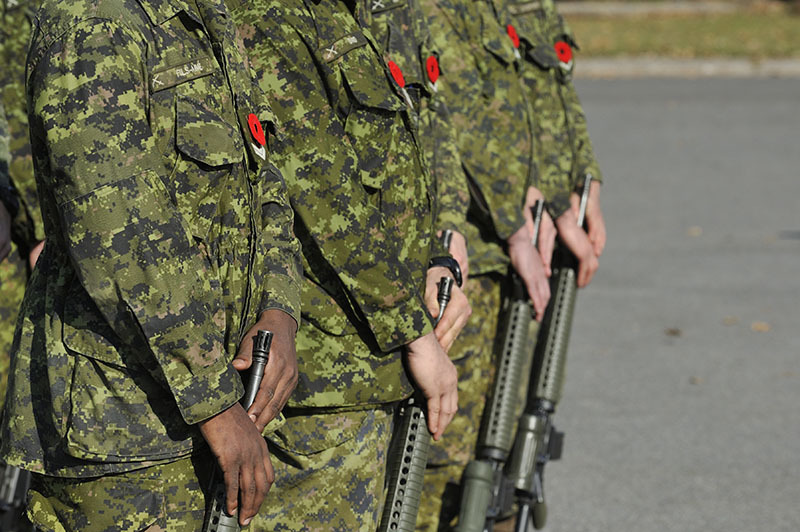 We enjoy these privileges because of the sacrifices made by so many who served in the Canadian Armed Forces. 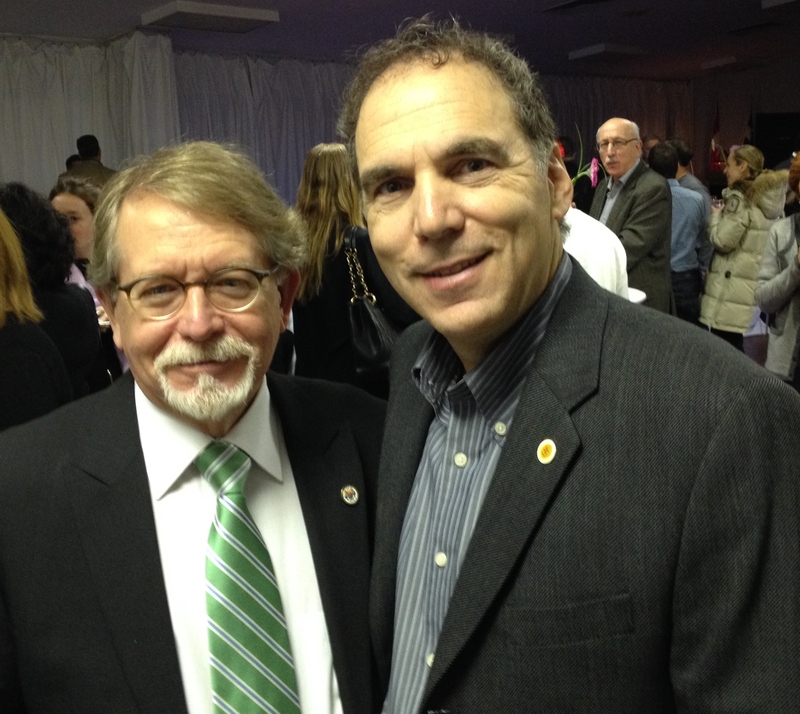 Cote Saint-Luc was represented by Councillor Mitchell Brownstein, Stephen Erdelyi and myself, in my capacity as Acting Mayor. 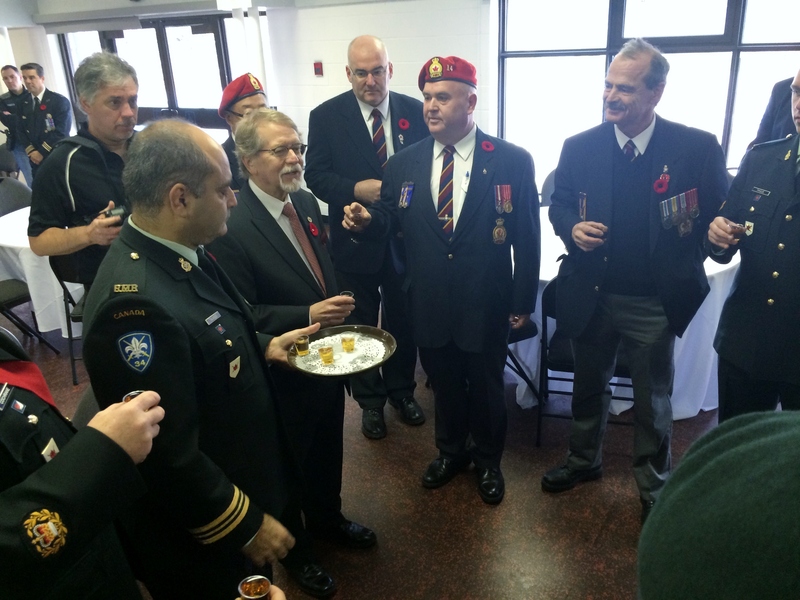 Former Councillor Isadore Goldberg and former Men’s Club President Jack Budovitch, both wearing their WWII military decorations, were also in attendance as was CSL Public Security Director Jordy Reichson and newly appointed Station 9 Police Commander Jean O’Malley. 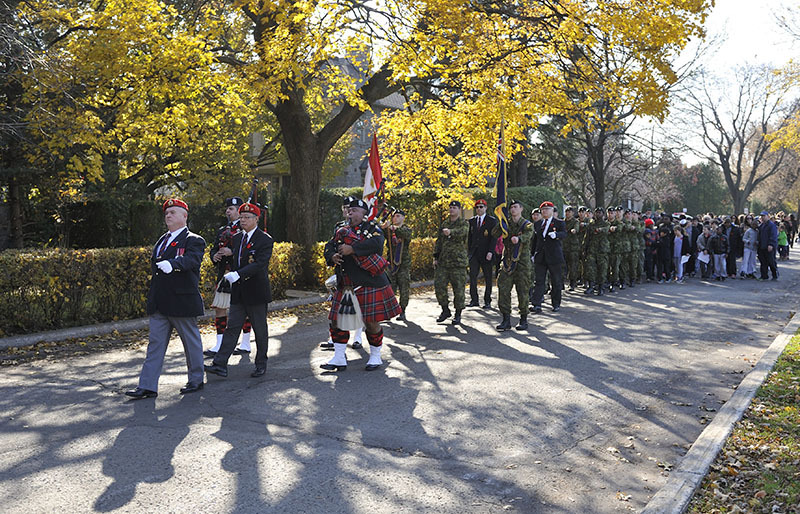 The event in Hampstead Park was preceded by a ceremonial march of students from Hampstead School to the memorial site, led by the soldiers of the Royal Montreal Regiment. The Regiment’s participation in Hampstead’s annual commemoration has become a tradition for the town, reinforcing the long-standing partnership between the Regiment and Hampstead. In 2008, Hampstead granted the Royal Montreal Regiment the Freedom of the City, allowing the regiment the privilege of parading through the community with colours flying, bayonets fixed and bands playing. “The Regiment’s partnership with the Town is a great source of pride for Hampstead,” said Mayor Steinberg. The Town of Hampstead will honour 17 members of the former Hampstead Police Department at its next Town Council Meeting, Tuesday, October 13, 2015, 8:00 pm, at the Irving L. Adessky Community Centre (30 Lyncroft Rd.). During the ceremony, Mayor Bill Steinberg will present a proclamation recognizing the department’s Sergeant, Thomas Robinson Montgomery, for his years of dedicated service to the Town and the Hampstead Police Department. Twelve former members of the Hampstead Police Department will be in attendance to accept the proclamation on Mr. Montgomery’s behalf. During the ceremony, the Town will present each member with a honourary Hampstead Public Security badge in exchange for their HAPD badges. Mr. Montgomery was one of Hampstead’s original police officers who worked for Hampstead between 1962 and 1972, before all local police services were amalgamated as the Montreal Urban Community Police Department. Mr. Montgomery is a decorated WWII veteran, who stormed Juno beach on June 4, 1944, with the 3rd Canadian Infantry Brigade, and was recently invested as a Chevalier de l’Ordre de la Légion d’Honneur de France. More importantly to Hampstead, he served 10 years as Sergeant of the Hampstead Police Department. Currently, Mr. Montgomery lives in Chester Basin, NS, where he will celebrate his 90th birthday later this month. The former members of the Hampstead PD who will be honoured are: Ralph Boyle, Steve Buchanan, Edward Caroll, William Cooper, Frank Duffy, Ron Durand, Dave Flavel, Lesley Graham, Michel Legault, Yvon Legault, Alexander MacDougal, Thomas Montgomery, Nick Sobol, Craig Stevens, Frank Taylor, David Wilson, and Donald Young. In my opinion: What a lovely and meaningful gesture by Mayor Steinberg and Hampstead Town Council to honour their history and former officers. I’m impressed by this gesture and congratulate the mayor and councillors. More on the confusing traffic signs on Fleet Road in Hampstead which is nothing short of entrapment. The Town of Hampstead has put together the following excellent tip sheet on protecting your property by securing your garage door. Kudos to Mayor Steinberg and the Town Council along with their Public Security department. 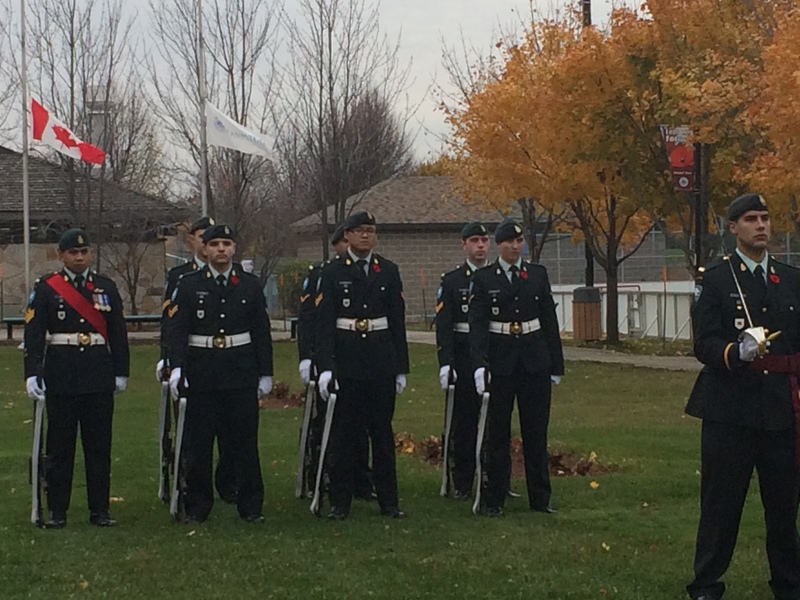 The annual Remembrance Day commemoration in Hampstead is a special and solemn occasion bringing together local dignitaries, clergy, residents, military, police officers and young students to learn about Canada’s great history and to honour the sacrifices of our fallen soldiers. This year’s event, held yesterday over the noon hour, was even more meaningful not only in marking 100 years since the start of World War I but because of the recent horrific killings of two Canadian soldiers right here in Canada. 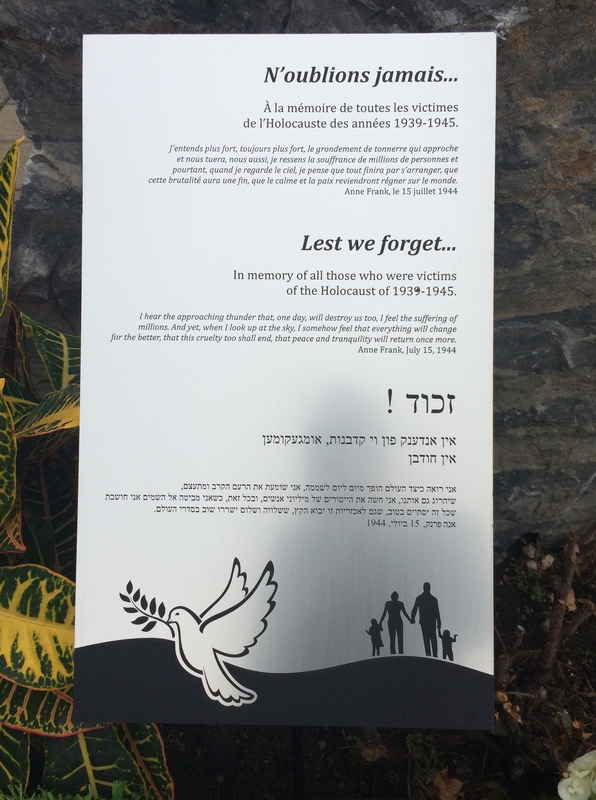 Mayor William Steinberg reminded the youngsters that they are tomorrow’s leaders and bear the responsibility to remember the sacrifices made so that they, and we, could live in peace and freedom. Wreaths were laid at the Hampstead cenotaph, as is the custom, however the handmade, colourful one presented by the students of Ecole de la Mosaique, along with white paper doves was very moving. 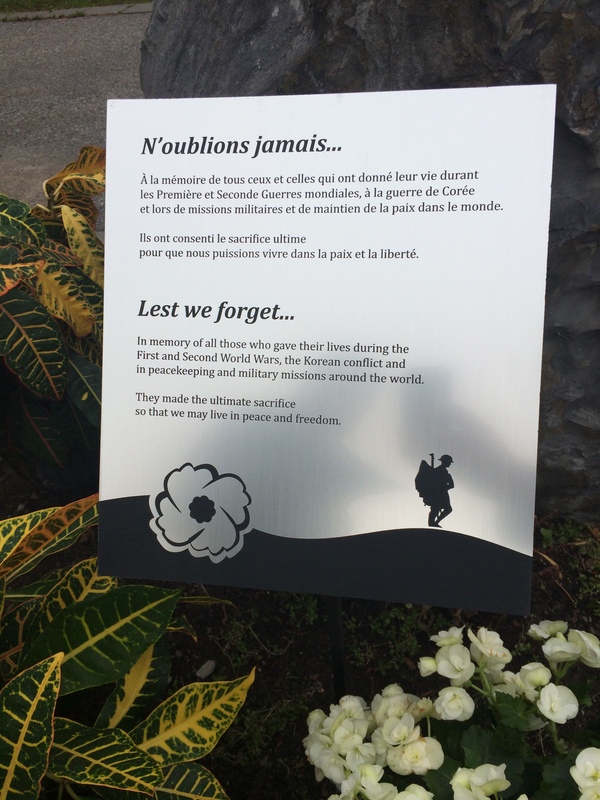 I am so pleased to represent the city of Cote Saint-Luc every year at this solemn gathering. 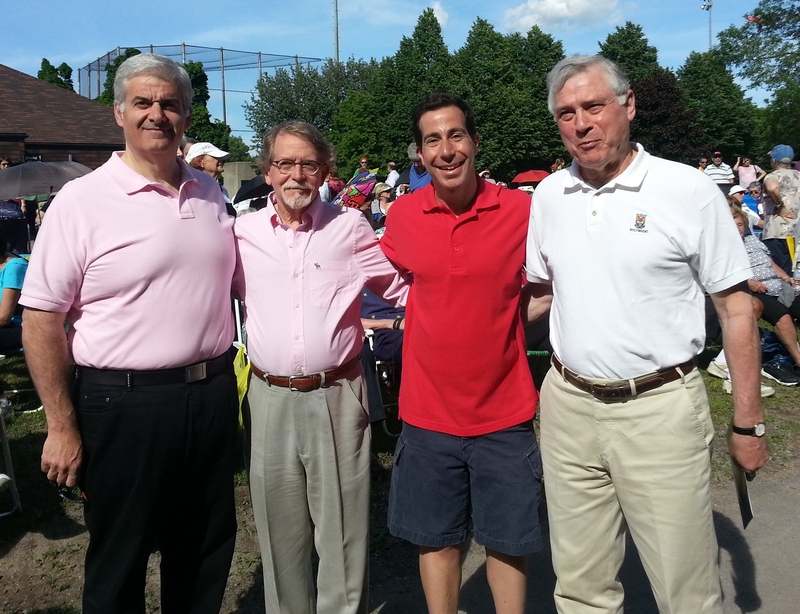 This year I joined Cote Saint-Luc Mayor Anthony Housefather along with Councillors Ruth Kovac, Mitchell Brownstein, Steven Erdelyi and former Councillor and WWII veteran Isadore Goldberg. With a noticeable police presence the event was smaller than usual. It is very unfortunate as I would have expected a larger presence given the tragic events of the last few weeks. 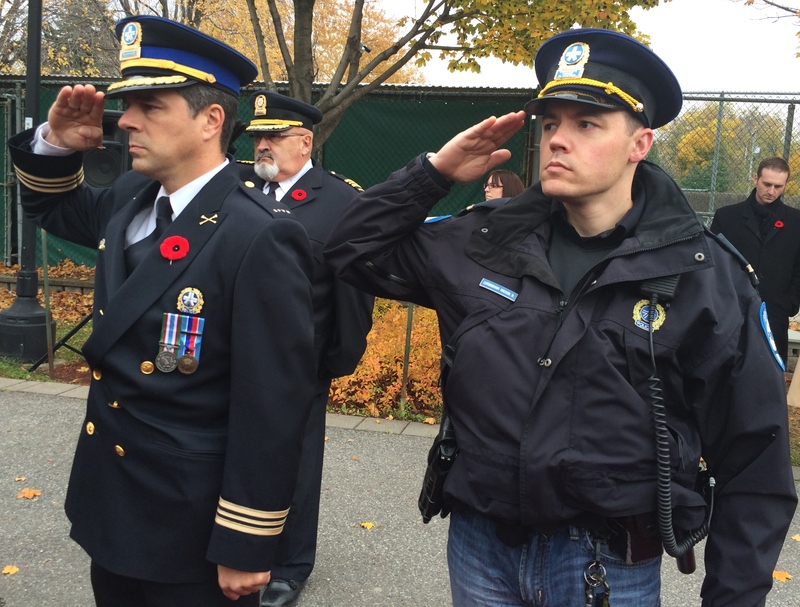 The Hampstead event, though, falls several days before Remembrance Day so that members of the military , who ae otherwise attending the larger Montreal ceremony on November 11 may be present for the school children. 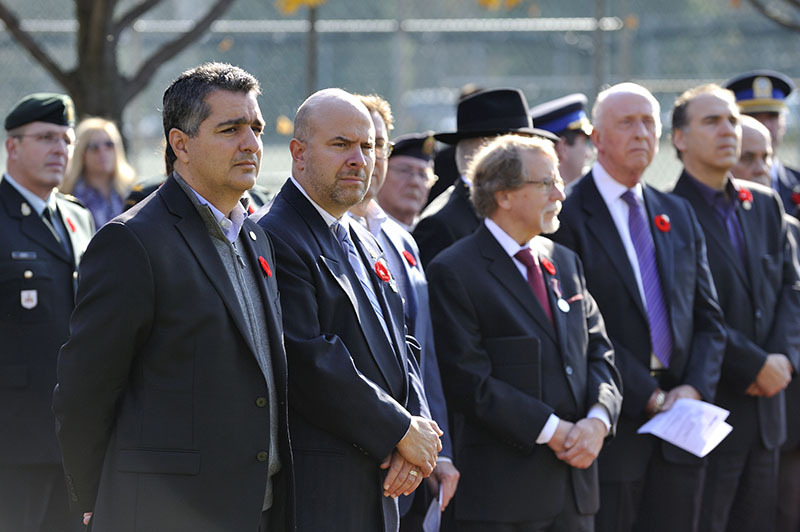 Please do heed the words of Rabbi Whitman by thanking a soldier and attend a Remembrance Day ceremony on November 11. Hampstead turns 100 this weekend and they’re throwing a huge party. I hope they have a huge crowd and wish them great success. I take this opportunity to extend my very best wishes to my friends in Hampstead, Mayor Bill Steinberg and the members of Town Council. Turning 100 is a real big deal and Hampstead is an amazing municipal success story in the socio-geo-political context of Quebec. The urban design, landscaping and planning of the town was avant guard way back when the village began to expand. The early emphasis on livable spaces and pedestrian connections to open green spaces, parks and playgrounds has served its residents well for several generations. 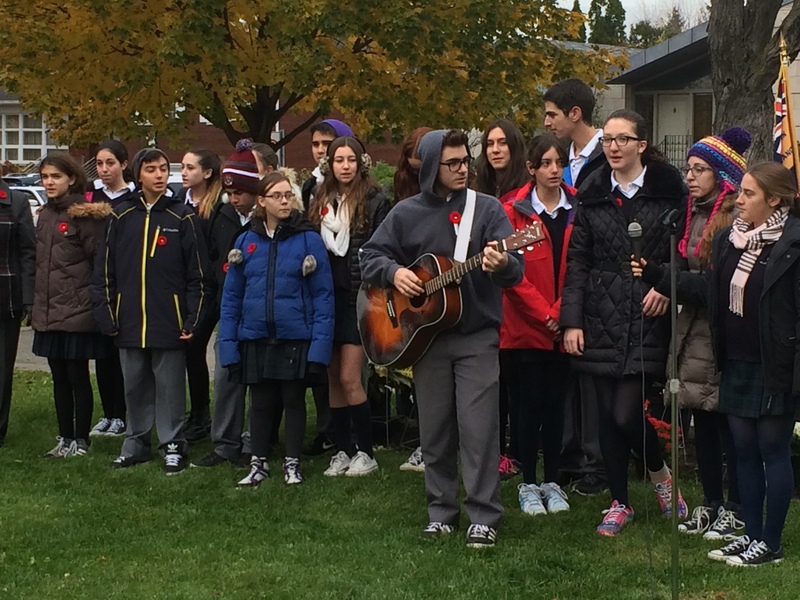 Hampstead and Cote Saint-Luc share a close relationship and similar history. From farm land at the turn of the last century to popular suburban bedroom communities at the end of the century we share many common roots. And today we share a police station and fire services. We play tennis at each other courts, swim at each others pools, send our kids to each others camps and the list goes on. We are much more than neighbours as our towns are home to common friends, school-mates and families. So happy birthday to our friends, neighbours and family next door in Hampstead. Here’s to another 100 years of friendship, cooperation and working together for the benefit of all of us who call Cote Saint-Luc and Hampstead home.